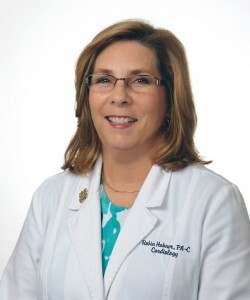 ROBIN J. HAHNER, PA-C is a board certified Physician Assistant. She received her Bachelor of Science degree in Physician Assistant and her Master’s degree in Public Health at Nova Southeastern University. Robin has specialized in cardiology since 1996. Robin has a superlative ability to educate. She has established our Heart Failure, and Coumadin Clinics. She has won the respect and admiration of all of our staff and patients. She has been a vital part of the Palm Beach Cardiology Center team for more than twenty years.